Is it time to get a workout gear makeover? Is your t-shirt from the 80’s? Do you use duct-tape as your rip-repair tool? Has your spandex lost it’s dex? We want to help you to look and feel great when you work out? Participate in our #SnapYourGear contest and you could win $200 in official Snap Fitness gear! -Only 1 entry per person. -Contest starts Tuesday, Dec 10th, 2013 at 3:00PM CDT. -Final entry must be posted no later then Monday, December 16th, 2013 at 8:00AM CDT. -All entries will be reviewed, and the top 10 entries, determined by Snap Fitness representatives, will then be announced on Tuesday December 17th. -The public will then get to vote on their favorite one, from Monday December 17th thru Sunday, December 23rd at 8:00AM CDT, via the hashtag #SnapYourGearFinalis. -The winner will be announced on Tuesday, December 24th at 10:00AM CDT. A prize package valued at approximatly $200 worth of Snap Gear will be awarded to one winner! This promotion is in no way sponsored, endorsed or administered by, or associated with, Facebook or Instagram. You understand that you are providing your information to Snap Fitness, Inc. (Snap Fitness) and not to Facebook or Instagram. The information you provide will only be used for sending subscribers company updates and announcements. NO PURCHASE NECESSARY. A PURCHASE WILL NOT INCREASE YOUR CHANCES OF WINNING A PRIZE. INTERNET ACCESS REQUIRED. VOID WHERE PROHIBITED. 1. ELIGIBILITY: The Snap Fitness® #SnapYourGear Contest (the “Contest”) is open only to legal US and Canadian residents (except Arizona, Puerto Rico, US territories and possessions or Quebec) who are at least 18 years of age or older as of the first day of the Contest. Void in Arizona, Quebec, Puerto Rico, US Territories and Possessions and where prohibited or otherwise restricted by law. Employees, officers and directors of Sponsor, Sponsor’s franchisees, and their respective affiliated companies, parents and subsidiaries, and the advertising and promotion agencies of each (collectively, the “Contest Entities”), and their immediate families (defined as spouse, mother, father, sisters, brothers, sons and daughters, regardless of where they reside) and members of their households (whether related or not) are ineligible to participate in this Contest. Participation in the Contest constitutes each entrant’s or their parent’s/legal guardian’s, as applicable, full and unconditional agreement to and acceptance of these Official Rules, including, but not limited to, entrant’s consent to receive e-mail messages from Sponsor solely in connection with the Contest and acknowledgment that this Contest is in no way sponsored, endorsed or administered by, or associated with, Facebook® or Instagram. Each Contest entrant is referred to herein as a “Participant.” All Participants under the age of majority in his/her state of residence must have the prior permission from his/her parent/legal guardian to enter. 2. HOW TO ENTER CONTEST: To enter the Contest, upload a photo entry (the “Submission”) to Twitter, Instagram or Facebook using the hashtag #SnapYourGear between 3:00PM CDT on December 10, 2013, and 8:00AM CDT on December 16, 2013 (the “Submission Period”). All Submissions must be received in the Submission Period. Sponsor’s computer is the official clock for the Contest. All Submissions must meet the standards set out in these Official Rules including, but not limited to, the Submission Requirements (specified below). Limit one entry per person. A. The Submission must be a picture of your worst workout clothes, workout shoes or entire outfit. B. Participants agree to and understand that Submissions may be made available to the public, including but not limited to posting on the Internet. Whether or not Submissions are published on the Internet, Sponsor does not guarantee any confidentiality with respect to any Submission. C. Participants are responsible for securing necessary consents, waivers, talent and location releases, and licenses for any visual and audio material contained in the Submissions. D. Submissions must comply with the Content Restrictions set forth below. E. Each Submission must be created by Participant and entered on an individual basis only (i.e., no joint or corporate entries or entries on behalf of any Participant). F. Each Submission must be an original work of Participant which is under no restriction, contractual or otherwise, that will prevent or limit Sponsor’s use of the Submission and each Submission must be free of any and all liens, encumbrances and claims of third parties. Participant acknowledges, agrees and warrants that, nothing in the Submission infringes on any copyrights, confidential information, trade secrets, or trademarks or other property rights belonging to any person or entity other than the Participant absent a suitable license, clearance or permission agreement (proof of which is required upon submission), or violates any person’s rights of privacy or publicity and that all necessary releases and permissions have been secured. G. By uploading the Submission the participant agrees, for zero compensation, to grant to Sponsor all intellectual property rights in the Submission and each of its constituent parts, which rights include, without limitation, the Sponsor’s right to publish, make available to the public and/or reproduce the Submission through any media available for the purpose of administering and conducting the Contest. In addition, Participant warrants that any so called “moral rights” in the Submission have been waived and Participant acknowledges and agrees that Sponsor may use any ideas from any Submission or other submitted materials, whether or not Participant has been awarded a prize in connection with any such Submission or other materials. H. Sponsor is not responsible for any expenses incurred in the production and delivery of the Submissions. 9. otherwise violates the standards of Sponsor as determined by Sponsor in its sole discretion. Any Submission that does not comply with the above requirements and restrictions, or any other requirement herein, is subject to disqualification and Sponsor reserves the right at its sole discretion to remove any Submission if Sponsor receives notification about any potential infringements or breaches of law or any other reason set forth herein. Sponsor is not responsible for lost, late, incomplete, invalid, illegible or misdirected Submissions, which will be disqualified; for technical failures of any kind, including, but not limited to, electronic malfunctioning of any network, hardware or software; any failed, incomplete, garbled or delayed computer transmissions or any combination thereof; or for any error, human, technical or otherwise; or any injury or damage to Participant’s or any other person’s computer related to or resulting from entering, participating in, or accessing or downloading information in connection with, this Contest. Sponsor reserves the right at its sole discretion to modify, cancel or suspend this Contest for any reason whatsoever including, but not limited to, a computer virus, bug, or other cause beyond the control of Sponsor. In case of dispute as to the owner of a Submission, the Submission will be deemed to have been submitted by the authorized account holder of the e-mail address from which the entry is made with the only exception being if a minor submits an entry in the name of his/her parent or legal guardian. The “authorized account holder” is the natural person assigned an e-mail address by an Internet access provider, online service provider or other organization responsible for assigning e-mail addresses for the domain associated with the submitted address. A selected Participant may be required to provide Sponsor with proof that he/she is the authorized account holder of the e-mail address associated with the selected Submission. Sponsor reserves the right, in its sole discretion, to disqualify any individual it finds tampering with the operation or entry process of the Contest, or acting in violation of these Official Rules or applicable law. Submissions delayed past the Submission Deadline will not be accepted. 4. CONTEST WINNER SELECTION: Accepted Submissions will be evaluated by a panel of judges designated by Sponsor based on creativity, originality and overall appeal (the “Judging Criteria”). Ten finalists will be selected by the judges and posted by December 17, 2013 at 10:00AM CDT, where viewers can vote on their favorite Submission, using the hashtag #SnapYourGearFinalist. Voting will close on December 23, 2013 at 8:00AM CDT. The Submission with the highest number of votes will be the Grand Prize winner. Any ties will be broken by an additional judge based on the judging criteria described above. For Canadian Residents Only: Before being declared a winner, the selected entrant must first correctly answer, without assistance of any kind, whether mechanical or otherwise, a time limited mathematical skill testing question to be administered by telephone, e-mail or mail at the Sponsor’s discretion. 5. GRAND PRIZE: The Grand Prize winner will be awarded Snap Fitness gear with an approximate retail value of US$200. The Grand Prize winner will be required to sign an Affidavit of Eligibility /Liability and Publicity Release (where legal). Upon receipt of any prize, each Grand Prize Winner is required to comply with any and all applicable federal, state, and local laws, rules, and regulations. All federal, state and local taxes are solely the Grand Prize Winner’s responsibility. If a potential Grand Prize Winner cannot be contacted within seven (7) days of the first attempt to contact him/her, or if he/she fails to return the signed Affidavit of Eligibility/Liability and Publicity Release within seven (7) days (subject to applicable law), or if the potential Grand Prize Winner is deemed ineligible for any other reason in Sponsor’s sole discretion, the potential Grand Prize Winner will be disqualified and an alternate Grand Prize Winner will be selected in his/her place as described in the Contest Winner Selection in Section 4 above. The total value of prize available to be won in the Contest is $200USD. Odds of winning a prize depends on the number of eligible entries received. 6. GENERAL: The Contest Entities reserve the right to terminate, cancel, suspend and/or modify the Contest without liability and without prior notice if any factor interferes with its operation as contemplated by these Official Rules, including but not limited to any fraud, virus or other technical problem which corrupts the administration, security, or proper operation of the Contest. CAUTION; ANY ATTEMPT BY PARTICIPANT TO DELIBERATELY DAMAGE ANY WEB SITE OR UNDERMINE THE LEGITIMATE OPERATION OF THIS CONTEST IS A VIOLATION OF CRIMINAL AND CIVIL LAW. SHOULD SUCH AN ATTEMPT BE MADE, SPONSOR RESERVES THE RIGHT TO SEEK DAMAGES FROM ANY SUCH INDIVIDUAL TO THE FULLEST EXTENT PERMITTED BY LAW. The use of automated or third party software or another web site not approved by Sponsor in order to register or enter this Contest is prohibited. Any questionable activity that increases votes for a Submission will result in disqualification or similar action. Sponsor reserves the right, in its sole discretion, to disqualify any Participant who is suspected of tampering with the Submission, voting or selection process. By participating in the Contest, Participants agree: (a) to comply with these Official Rules and the decisions of Sponsor and any third party judges, which shall be binding and final in all respects; (b) to release Sponsor, Facebook® and Instagram from all liability, loss or damage arising out of participation in the Contest or in connection with the awarding, receipt, possession, use and/or misuse of any prize; (c) to be contacted by Sponsor by mail, telephone and/or email; and (d) that he/she acknowledges that neither Sponsor makes any warranty, representation, or guarantee, expressed or implied, in fact or in law, relative to any prize, and disclaim all liability for the provision, quality or nature of any third-party products or services provided to Grand Prize Winners. Except in the cases of death or personal injury caused directly by the intentional misconduct or gross negligence of the Contest Entities, the Contest Entities shall have no liability and shall be released and held harmless by Participant(s) or his/her parent/legal guardian, as applicable, for any damage, loss or liability to person or property, including without limitation any claim for infringement of intellectual property rights, as a result of participation in the Contest. Participants assume all risk of loss, damage, destruction, delay or misdirection of mail or e-mail or any Submission submitted to Sponsor. All prizes are awarded upon the condition that the Contest Entities shall have no liability whatsoever, subject to the limitations set forth herein, and shall be held harmless for any injuries, losses, or damages of any kind to persons or property, including death, sustained, in whole or in part, directly or indirectly, in connection with or resulting from acceptance, possession or use/misuse of any prize, or participation in the Contest and any Contest related activities. No cash or other substitution may be made, except by Sponsor, who reserves the right, in its sole discretion, to substitute a prize with another prize of greater or equal value in the event that a prize is unavailable or cannot otherwise be awarded as described. Any and all disputes, claims and causes of action arising out of or connected with this Contest, or any prize awarded, shall be resolved individually, without resort to any form of class action, and exclusively by arbitration (where legal). Claims, judgments and awards shall be limited to actual out-of-pocket costs incurred, including costs associated with entering this Contest, but in no event attorney’s fees. Except where prohibited, all issues and questions concerning the construction, validity, interpretation and enforceability of these Official Rules, or the rights and obligations of the participant and Sponsor in connection with the Contest, shall be governed by, and construed in accordance with, the laws of the State of Minnesota without giving effect to any choice of law or conflict of law rules (whether of the State of MN or any other jurisdiction). Should any provision of these Official Rules be deemed unenforceable or invalid, the other provisions of these Official Rules shall remain in full force and effect. 7. DMCA: Sponsor complies with the provisions of the Digital Millennium Copyright Act (DMCA). In compliance with the DMCA, a Designated Agent has been established with proper documentation sent to the US Copyright Office. 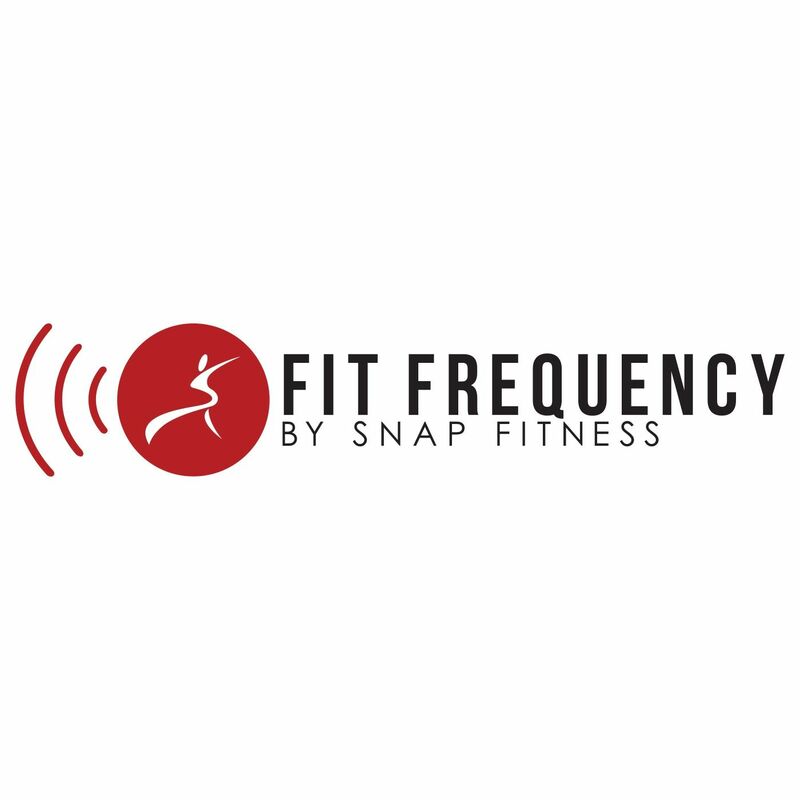 The designated agent for Sponsor to receive notification of claimed infringement under Title II of the DMCA is: Copyright Agent C/O Snap Fitness, Inc., 2411 Galpin Court, Ste. 110, Chanhassen, MN 55317, USA. 8. OFFICIAL RULES AND WINNER LIST: For a copy of the Official Rules or list of Grand Prize Winners, please send a separate, self-addressed stamped envelope to: Snap Fitness® #SnapYourGear contest, 2411 Galpin Court, Ste. 110, Chanhassen, MN 55317. 9. SPONSOR: Snap Fitness, Inc., 2411 Galpin Court, Ste. 110, Chanhassen, MN 55317, USA.